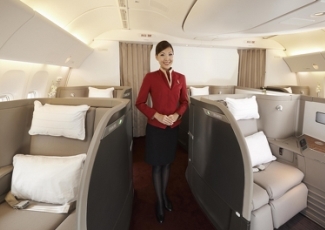 Two of Asia's most highly respected airlines have recently revamped their First Class cabins. Here is what to expect. 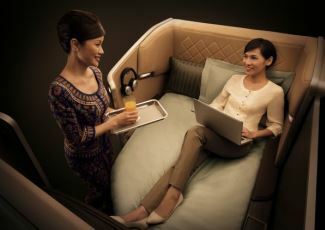 Cathay Pacific Airways has 'refreshed' its already impressive First Class. 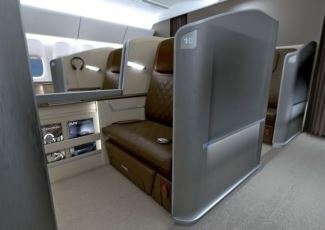 This present First Class is seven years old now and the seven year itch means that London-based architects Foster + Partners, designers of the First Class Lounge, The Wing, have been brought in to revamp the product. The new design features glossy dark grey and warm-toned natural leather. The new side console and the interior of the suite are all wrapped in leather, with subtle linings, refined stitching and fewer panels for a more clean and sophisticated look. 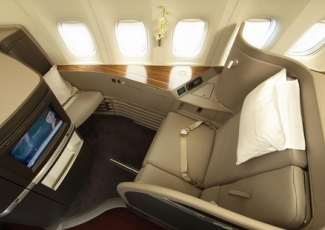 The seat fabric is custom-made with a specially selected combination of soft ,comfortable materials. A new 4.3" LCD touch screen controller allows passengers to easily recline the seat, adjust lumbar support and turn lights on or off with a simple touch . The new duvets are 500 thread count cotton and the thickness of the mattress has been increased. New sleep suits are organic cotton.